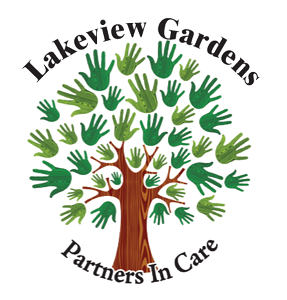 At Lakeview Gardens, we have implemented our philosophy in person-centered care by building two brand new small home cottages for long-term care and one for our assisted living facility. Each home consists of 12 private bedrooms, each equipped with its own European-style bathroom (shower included). All residents are encouraged to decorate their rooms to their personal preference, but must get approval from administration. Adding this element of individualization is the wave of the future for long-term care facilities and our elders. Lakeview Gardens is proud to be one of the few facilities in Oregon adopting this concept. In our small home community, meals are prepared in the home, which allows our residents an opportunity to assist with cooking meals, baking snacks, and setting the table just as they would in their own homes. Meal hours will be flexible and allow residents to eat when they would like. Each home will be equipped with high-end washers and dryers that will allow our staff do all residents' personal laundry within the home. Within the long-term care facility, we will have 24-hour visitation hours. Since this is our residents' home, visitors will be required to ring the doorbell. Our attentive staff will allow entry to visitors upon our residents' request. We will have a sleeper sofa located in each home's den for out-of-town visitors for brief stays or for hospice residents' families. At Lakeview Gardens, we understand that each person is different in many ways. This is why we have implemented individualized care planning. Stemming off of our person-centered care philosophy, individual care planning means upon admission, our staff ask specific questions about each resident's life to create the best routine for every new resident. This can be changed as often as needed in order to create the best quality of life for each person at Lakeview Gardens. We pride ourselves in offering an abundance of activities that allow our residents to keep active and to maintain or improve their quality of life. We provide activities such as bingo, gardening, visiting pets, arts and crafts, holiday festivities, and much more.